Nazik Armenakyan’s Between the two stones #celebratephotography « Adafruit Industries – Makers, hackers, artists, designers and engineers! Upon returning to their dreamed-of homeland it was far from the minds of many Iraqi Armenians that they would encounter so many problems on arrival. 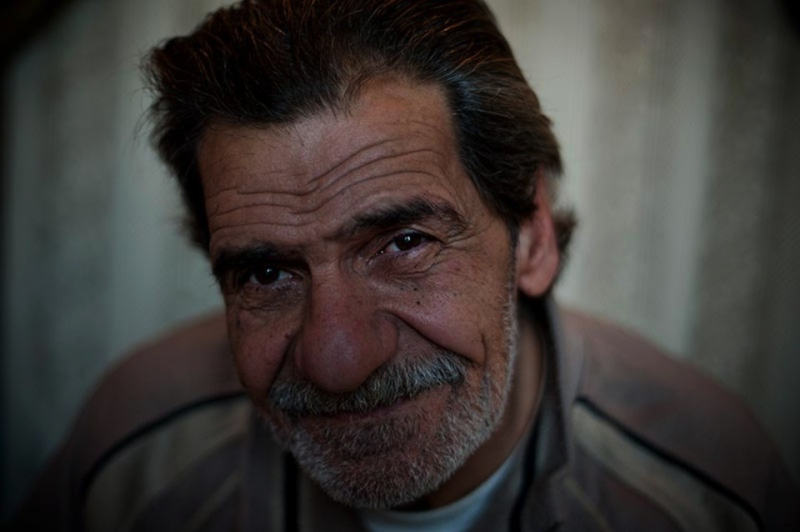 Living as a small, separate community, mainly in Baghdad, they had decided to return after the US-led invasion of their adopted country in 2004. Instead of the open-armed heartfelt welcome they had expected, they were struck by difficulties in language, relationships with locals and simply making a living. All utilities and basic food supplies were free in Saddam Hussein’s Iraq and they now needed to pay for gas, electricity and other bills. About 16 Iraqi Armenian families live in Darbnik, a village 8km from the capital Yerevan where the population is 90 percent refugees. The village has a history of housing displaced people. In Soviet times it was populated by Azerbaijanis, who then left at the start of the Armenian-Azeri conflict in the 1980s, leaving their village to Armenians who under the same circumstances had fled Azerbaijan. The families have been living in Darbnik’s former agricultural college, renovated by the UN. There are no churches, drug stores, markets or normal transportation. Iraqi Armenians have created a small Baghdad in their apartments, saving memories with photographs and other items brought from their former homes in Iraq. They often spend their time watching news or soaps from their native land on cable TV. They continue to live in a closed community as they did before, neither Iraqi nor Armenian, living, as they say in Armenia, “a life between the stones”. But unlike in their previous lives, there is now no more idealized motherland to yearn for. See the full series here and check out the rest of Nazik Armenakyan’s work here.